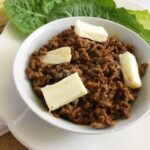 I recommend doing a short 4-day challenge with this Beef and Butter Fast Challenge Meal Plan schedule so that you can help to understand the Ketogenic Diet and what works for your goals. 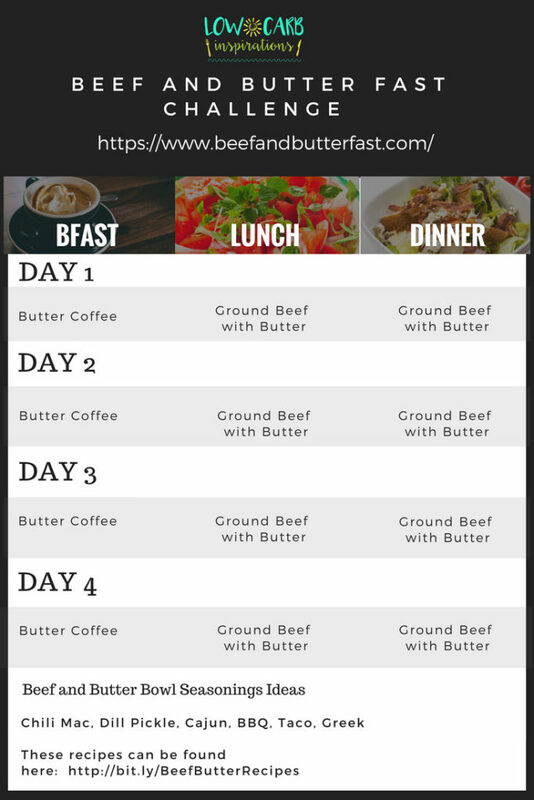 Every month we run a 5-day challenge in the Beef and Butter Fast Facebook group where we eat with this meal plan for 4 days and give our weight loss results on day 5. 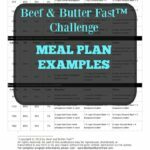 The very first challenge we did with this beef and butter fast meal plan we had a total of 110 people report a weight loss total of 529.25 lbs! That turns out to be an average of 4.81 lbs lost per person! The weight loss is just one benefit of doing this fast challenge. Many participants reported learning exactly what was stalling them on their own weight loss journey. There were many reports of members who found the plan easy to follow without the feeling of being hungry or missing out on anything either. Those are just a few of the benefits many people mentioned! Amazing! Absolutely amazing! 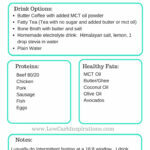 You can print this Beef and Butter Fast Meal Plan here. 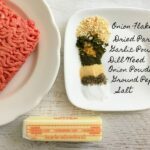 Just wondering if it has to be ground beef or if you could substitute other cuts of beef like flank steak, stew beef, etc. How many oz. should be having at lunch and dinner? I have had a stall for six weeks up and down a pound from one day to the next. 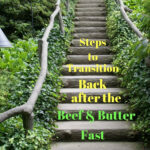 Today I will start the Beef & Butter Fast to see if I can get the weight to come off again. I still have 35 – 40 more pounds to lose. I will keep you posted each day. Can I have Beef liver/ Beef hearts as a substitute? Is mY homemade unsalted GHEE OK? Getting very excited to start. What if you don’t drink coffee or tea? Have some warm bone broth with a bit of salt and butter. It’s delicious and very hydrating!! Awesome!! We’ve had a ton of success! Last challenge we had a total of 151 people report a total weight loss of 611.97 lbs in all!! That’s just a bit over 4 lbs lost PER PERSON! It’s amazing!! Be sure to join the challenge group if you haven’t already. 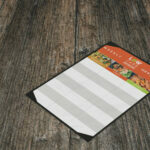 We would love to support you! I’m considering trying the beef and butter diet. My only concern is I don’t drink/like coffee. Is there something I can sub for coffee? Also I don’t care for unsweetened tea. Thanks for your thoughts! 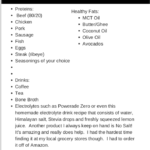 I would highly recommend bone broth with a little salt and butter. It’s delicious and it helps you keep hydrated. This would be a better option than coffee or tea anyway.